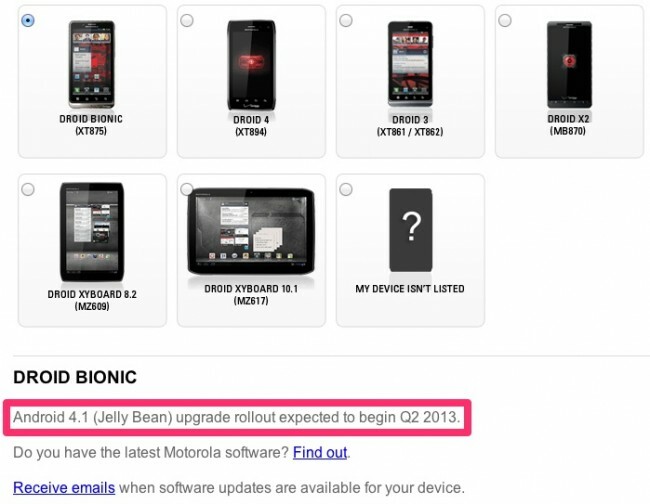 Motorola made a slight change to their DROID Bionic software news page today, one that signifies them finally settling in on a time frame for updating the device to Jelly Bean. Q2 is it. If you had hopes of receiving the update by the end of Q1, which is in 5 days, you will leave the month and quarter disappointed. I know there were rumors of the update happening in Q1, but as far as we can tell, the update page from Motorola has only said that it would receive 4.1, not when. This is the first time the update site has listed out a specific quarter. So, Q2 means the update could arrive anywhere from April 1 through June 30. Ugh. Tuesday Poll: T-Mobile Launches LTE - Likelihood of You Switching Over?